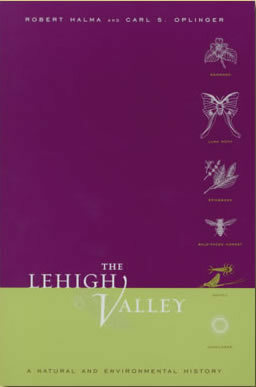 Trembley's teaching and environmental work greatly influenced the students who studied with him and attended his classes throughout his 42 years teaching at Lehigh. "Countless students were influenced by his informal and delightful lectures; he may be remembered best, though, as a teacher with a mission and an enthusiasm that became pivotal in shaping the ecological conscience of the Lehigh Valley." "Francis Trembley was another of my favorite professors, although he wasn't in the College of Business and Economics. He was a biology professor. And for those of us who were not biology majors, it was his course -Biology 13- that was our chance to learn things that increased our understanding of plants, animals and the environment. Professor Trembley broadened the way we thought about the world. He was a passionate ecologist, as environmentalists were then known. He was forward looking, and he instilled in us the importance of thinking about the downstream consequences of our actions. He was a wonderful teacher with a terrific sense of humor. Going to his classes was always a joy. And it was a joy that he spread during the 42 years he taught here." Trembley Park, a student dormitory, was dedicated in honor of Francis Trembley on October 19th, 1977.